Our gut isn’t just where food is digested and passed through the body. In addition to its digestive role, the gut regulates immune and nervous systems, fights the invaders, helps with our mood and provides us with many other health benefits. The reason it has such an impact on our health is because of trillions of bacteria residing in it, named gut microbiome. The importance of diverse intestinal microbiome in our health has been accepted in the world of nutrition science. Diet, age, environment and lifestyle play important roles in shaping our gut microbiome. Below are ten easy steps everyone can do to improve the diversity of intestinal microbiome based on the scientific information we currently know. Our diet probably has the greatest effect on the microbiome. Western diet filled with processed foods such as refined sugars and saturated fats has a negative effect on gut microbiome and health in general. Diet rich in different vegetables and fruit like Mediterranean has been shown to be very beneficial for human gut microbiome. In fact the biggest microbiome study to date revealed that people who ate 30 different plants a week had more microbial diversity than those who ate 10 plants a week or less. It looks like plant diversity is the key for microbiome diversity. •	An extra 10 g of fiber from vegetables and whole grains a day has been shown to reduce risk of colon cancer by 10%. •	A higher intake of dietary fiber has been associated with the reduced risk of death. •	According to the Scientific Advisory Committee on Nutrition additional 7 g of fiber a day may reduce the risk of coronary disease and type 2 diabetes by 9% and 6% respectively. All of us have heard about benefits of polyphenols. Polyphenols are phytochemicals with antioxidant functions. They help protect our cells from free radicals. Polyphenols are found in many plants, teas, herbs, most berries and even avocados! Every plant that has some sort of color in it has polyphenols. As of last year polyphenols and phytochemicals have been categorized as prebiotics by International Scientific Association for Probiotics and Prebiotics (ISAPP). Polyphenols specifically isolated from avocados and cranberries showed increased protective functions against such harmful bacteria in the gut like Clostridium difficile that often contribute to colon cancer development. Other researchers showed that polyphenols found in cranberries can protect one from diet induced obesity, insulin resistance, intestinal inflammation and can increase abundance of an important gut bacterium Akkermansia. 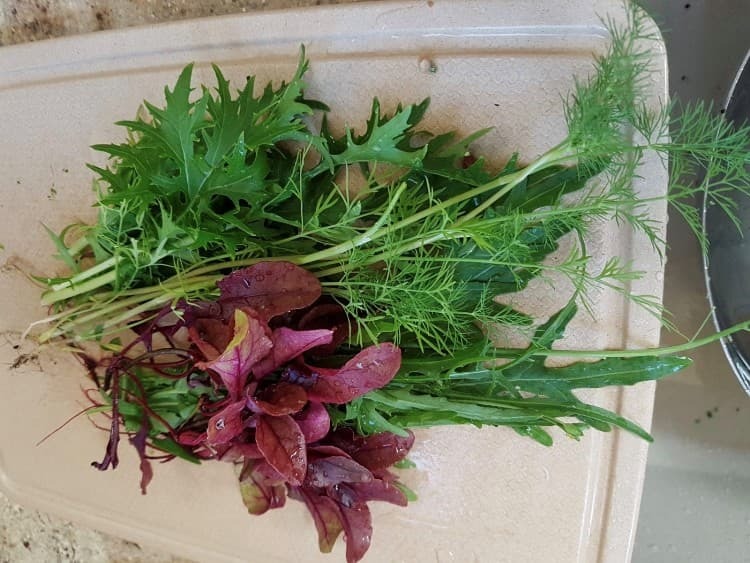 Anthocyanins, for example, is another type of polyphenols that is responsible for the red, blue and purple color in vegetables and has anti-inflammatory effect by increasing Bifidobacteria in the gut. If you create a “rainbow” out of different vegetables on your plate you will receive a variety of different polyphenols that will have a positive effect on your microbiome and your health. 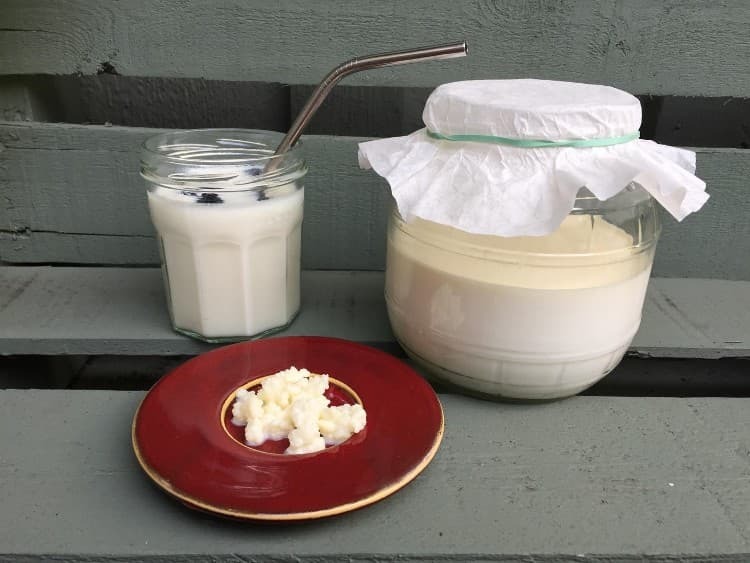 •	Milk kefir - Get a recipe at MyGuMatters. Omega 3 fatty acids have numerous powerful health effects to our body and brain. There is a lot of scientific evidence that they play a role in depression, extremely important for eye health, are protective against cardiovascular diseases, can help with age related mental decline, brain function, has anti-inflammatory properties and other health benefits. And as of last year, all polyunsaturated fatty acids have been categorized as prebiotics, which means they are selectively utilized by the gut microbiota and subsequently benefit our health. Indeed, recent research shows that the consumption of omega 3 is improving the balance of gut microbiota which results in the production of beneficial to our health bacterial molecules like butyrate (a type of short chain fatty acid). 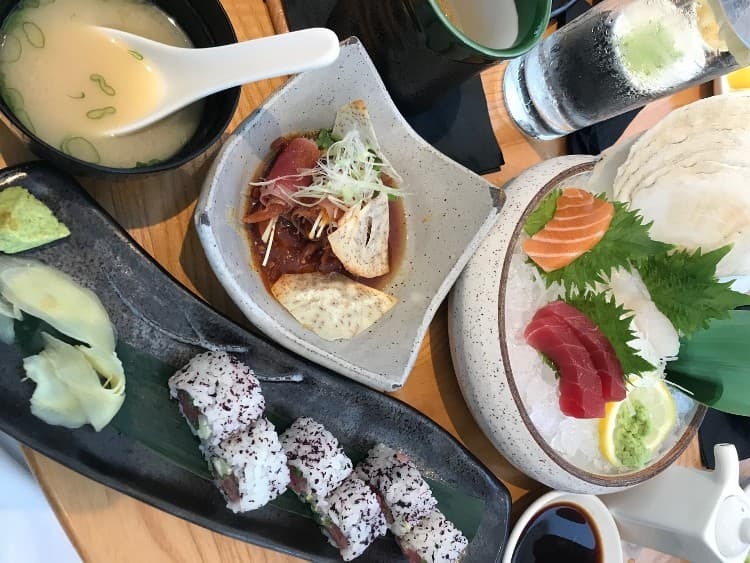 According to Academy of Nutrition and Dietetics two 4-oz servings of oily fish a week will provide you with an adequate amount of omega 3 and will help reduce the risk of heart disease and maintain your microbiota in balance. Foods with probiotics, prebiotics and postbiotics maybe a good solution to help maintain the balance of intestinal microbiota. According to World Health Organization “probiotics are live microorganisms that, when administered in adequate amounts, confer a health benefit on the host”. You can find yogurts, milk kefir, kombucha and prunes with added probiotic strains in it. Read the label to make sure clinically studied probiotics have been added to these products. Prebiotic is defined by ISAPP as a “substrate that is selectively utilized by host microorganisms conferring a health benefit”. The most commonly known prebiotics are specific types of fibers like fructo-oiligosaccharides, inulin, galacto-oligosaccharides, xylo-oligosaccharides and others. 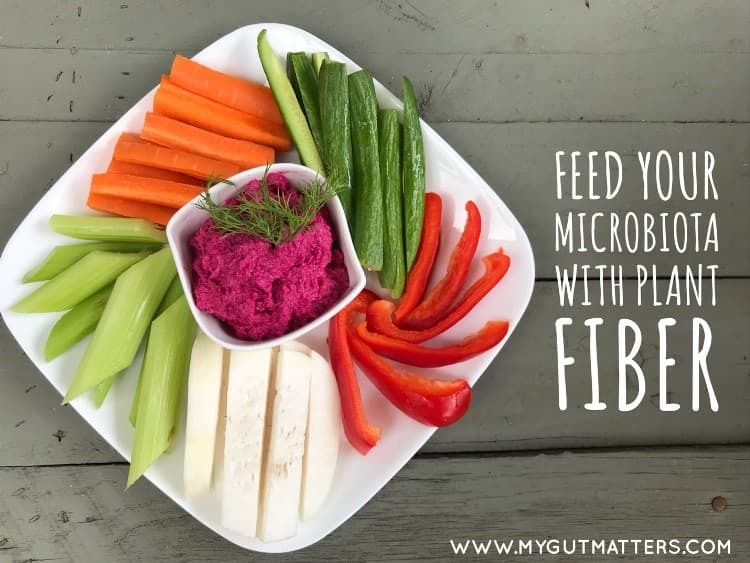 Some manufactures like BeneFiber add these fibers to their formulas and if you consume them the prebiotics in these products may improve the composition of your gut microbiota. Postbiotics - is a relatively new term for “metabolites and/or cell-wall components released by probiotics”. Short chain fatty acids, butyrate and propionate, is an example of postbiotics that are produced by beneficial bacteria. Sauerkraut and kombucha fermented with specific culture with known probiotic properties may have quite a few beneficial postbiotics in it. Another way to add adequate amounts of probiotics and prebiotics into your diet is by consuming these in a form of supplements. Our environment is equally important for our body’s microbiome. Western diet contains many processed foods filled with additives, artificial sweeteners, emulsifiers, synthetics dyes etc. All those can potentially harm our body and gut microbiome not only by changing the balance of microbiome but also by contributing to metabolic syndrome and obesity epidemics. Number of currently used sweeteners, including saccharine, sucrose and an active compound found in stevia - rebaudiaoside A, have significant antibacterial properties. Other studies showed that dietary emulsifiers commonly used in food industry as stability agent can induce low grade intestinal inflammation which can lead to inflammatory bowel disease and even colon cancer. Therefore, it is extremely important to avoid processed foods as much as possible to protect the diversity of intestinal microbiome and reduce inflammation in our body. Commonly used products in our everyday life like household cleaners, skincare, makeup, hand soaps, body washes and even toothpaste can alter our microbiome. Our fear of microbes years ago pushed the industry to come up with antibacterial products that on one hand could protect us from pathogenic bacteria but as we found out now have a quite damaging effect on beneficial microbes on and in our body. Until recently some toothpastes and deodorants contained triclosan and other potentially toxic chemicals that could modify the microbiome and contribute to cancer development. Researchers also showed that some disinfectant household cleaners can contribute to child obesity by changing microbial population in the gut. It is a good idea to reduce the use of harsh chemicals in your everyday life. Visit trusted sites like Environmental Working Group to get a better understanding of how ‘green’ your cleaning and personal care products really are. Natural alternatives might be a better fit for you, your home and the environment. Regular physical exercise without a doubt is important for a healthy life. It can help control weight, improve mood, boost energy, strengthen immune system, improve sleep and in general may help you feel healthy and good about yourself. Well, recent research also suggests that regular exercise has a positive effect on the diversity of intestinal microbiota. In addition to that yoga has been clinically shown to be beneficial in relieving irritable bowel syndrome (IBS) symptoms and is recommended as a therapy for IBS patients. IBS is one of the diseases that is characterized by a bacterial dysbiosis. Make sure to not overdo it at the gym because exercise induced stress may actually be proinflammatory and can weaken the immune system. Listen to your mind and body to get the most benefits from it. Getting enough sleep may help you stay healthy, alert and less stress. And stress is a major contributor to many diseases. Our microbes have circadian rhythms like us so they need their time to rest too. Sleep loss may contribute to the increased gut permeability that can lead to inflammatory processes and eating disorders. Along with nutrition and exercise, good sleep is an important pillar of health. Like everything else, there is no one-size-fits-all when it comes to your diet, type of sports and other habits. You may be a vegetarian, eat the Paleo way or fall somewhere in between. You may be a fast runner or a yoga lover. The key is to keep supporting your microbiome with the foods and activities that are healthy for you and that bring joy to you at the same time.